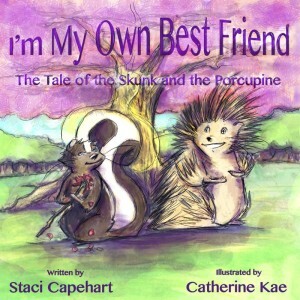 I’m My Own Best Friend – The Tale of the Skunk and the Porcupine is the author’s third children’s book and tells the tale of two uniquely different critters that form a special bond. This rhyming children’s picture book begins as a sad and smelly skunk is alone and feeling sorry for himself. Then to his surprise he meets a very outspoken porcupine that also has the same feelings. These two very different animals become forever friends in a story that will warm your heart.